What if you could automate many of the repetitive and mundane tasks that consume so much time and energy around your organization? The drive toward business automation is not a new phenomenon, with important advances such as the factory assembly line dating back more than a century. However, the ongoing reliance on spreadsheets and workflows that involve a lot of “swivel chair” work – e.g., jumping from app to app, copying and pasting data between them, etc. – show how much headroom there still is for further improvement. Fortunately, the more recent rise of artificial intelligence (AI), chatbots, cloud computing and robotic process automation (RPA) has created a unique opportunity to streamline today’s supply chains by removing many of their traditionally manual touchpoints. RPA in particular is the perfect solution to many of the data management functions common in back offices and finance departments. Implemented well, it can reduce data entry errors and trim costs. The RPA name is a bit of misnomer, since it doesn’t involve any humanoid robots or even the types of machines found on the floors of automotive factories. Instead, the “robots” in question are software programs capable of carrying out tasks much like a human operator. Think of them as a digital workforce. Rules-based, repetitive and objective, like entering data or issuing purchase orders. Stretched across multiple systems, and as such in need of the swivel-chair access mentioned above. High-volume and prone to becoming timesinks for the employees who work on them. There are plenty of processes that meet one or more of these criteria. For example, RPA may be implemented to handle customer onboarding, IT network monitoring, loan document review, procurement and human resources. Let’s look in more depth at how RPA could work in some of these cases. Onboarding a new customer is a complex, multi-step process, albeit one that can be clearly mapped out from start to finish. In other words, it can take a human a while to complete due to its scope, even though at its heart it’s relatively simple, structured and predictable work. More specifically, there are numerous steps along the way for verifying the customer’s identity and ensuring all relevant details are entered into systems of records. Data will be frequently copied and pasted between applications, which raises the possibility of input errors in addition to the considerable time commitment. RPA can streamline these activities and in turn dramatically reduce the time it takes to successfully onboard someone. Documents that once required 30 minutes or more to process can be completed in a fraction of that time through RPA. A 2018 poll of 1,700 finance professionals by the Deloitte Center for Controllership found that more than half of respondents planned to pursue RPA and similar efforts within the next year. Their top priority was improving their internal controls and boosting process efficiency. Manual data management has always been a challenge in finance. Tasks such as transferring data between spreadsheets and ERP systems should be relatively routine, but in reality are often fraught with risk due to issues with data quality (e.g., duplicate entries and entry errors), procedural bottlenecks and swivel-chair access requiring you to navigate both MIcrosoft Excel and your database software in tandem. In contrast, you could set up an RPA workflow that could be ready to run 24/7/365. It would automatically handle the critical financial functions with much less risk and effort, allowing your finance team to focus its energies on other more productive projects. The outlook for RPA: Will your organization benefit from further automation? The RPA market is growing rapidly. Between 2017 and 2022, it could see a 30.14 percent compound annual growth rate, according to MarketsandMarkets. 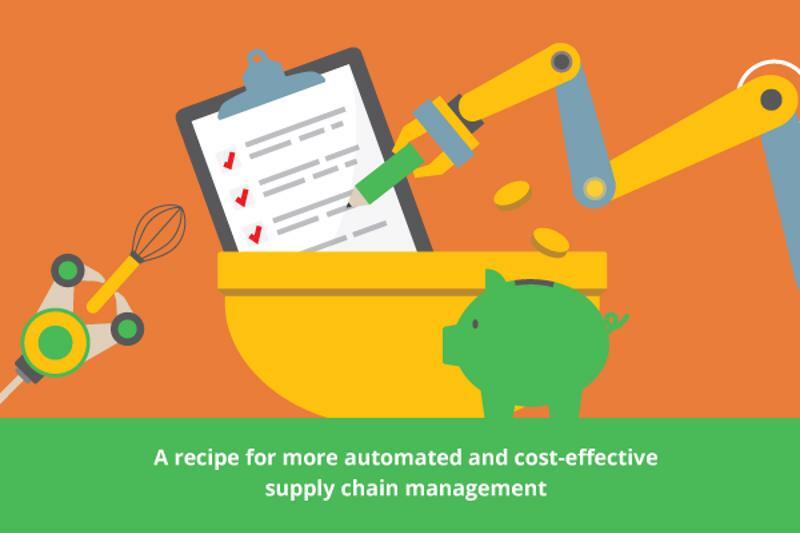 As your organization seeks new improvements to its supply chain via RPA and implementation of technologies such as ERP and SCM, be sure to connect with our team at Inspirage to learn more about how we can help you find the right mix of tools and processes. Check out our Resource Center as well for additional information on what we can provide. This entry was posted in Digital, Supply Chain Management. Bookmark the permalink. Lavenia Simmons Whitner is a Solutions Director, Supply Chain Management at Inspirage. Lavenia is an accomplished, innovative sales leader with extensive experience in leading high-performance teams and developing strategic initiatives to help drive sales. She’s familiar with all of Oracle’s applications, including Enterprise Resource Planning (ERP), Value Chain Planning & Execution and Human Capital Management (HCM). She has a proven record of success in developing pre-sales strategies, designing sales/marketing collateral and helping to improve sales teams.